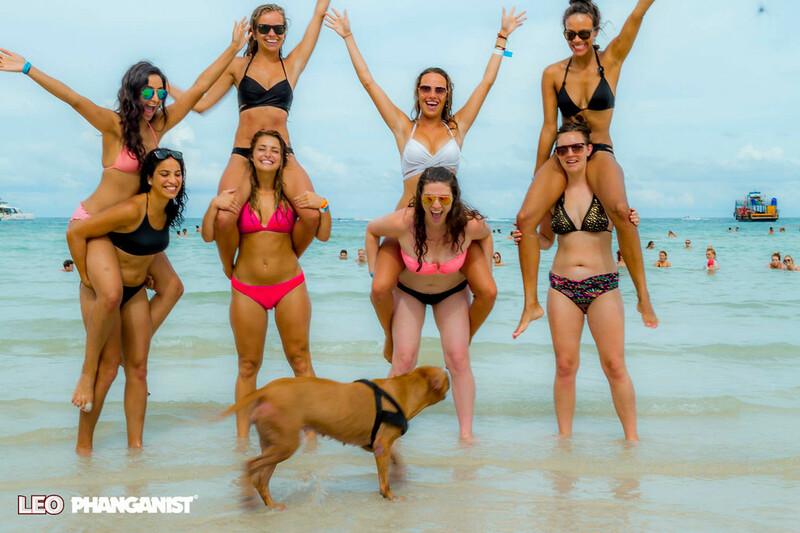 Phanganist Hostel is situated right in the heart of Koh Phangan, perfectly between the beauty of the northern beaches, the party vibes in the south and the tropical jungles and waterfalls in the middle of the island. Our central location on the islands main road just 2 km. from Tongsala Pier gives our guests easy access to all the attractions the island has to offer. 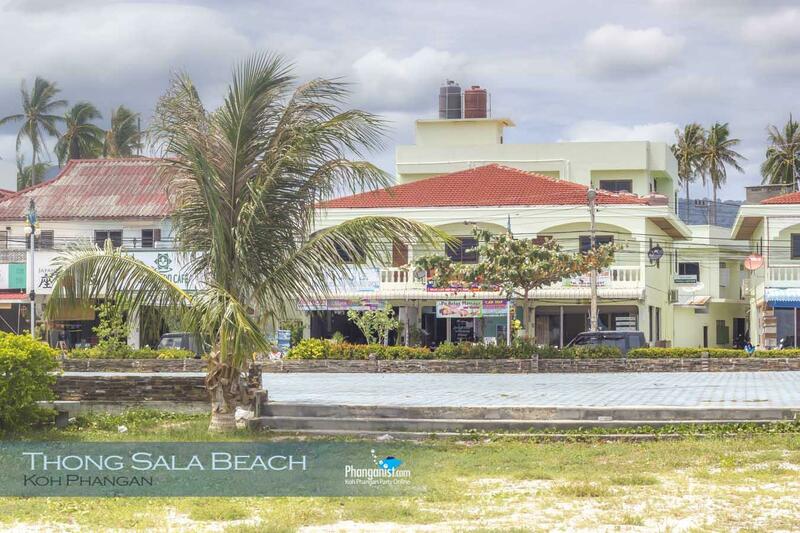 The beach, restaurants, bars, supermarkets, hospitals and shopping is within walking distance from Phanganist Hostel. We also offer scooters for rent at the Hostel and have numerous taxies pass every day. Everything is made convenient for you! Everything is better at the beach! And the closest beach from Phanganist Hostel is just a two to three minute walk across the road and down a track, around half a kilometer. 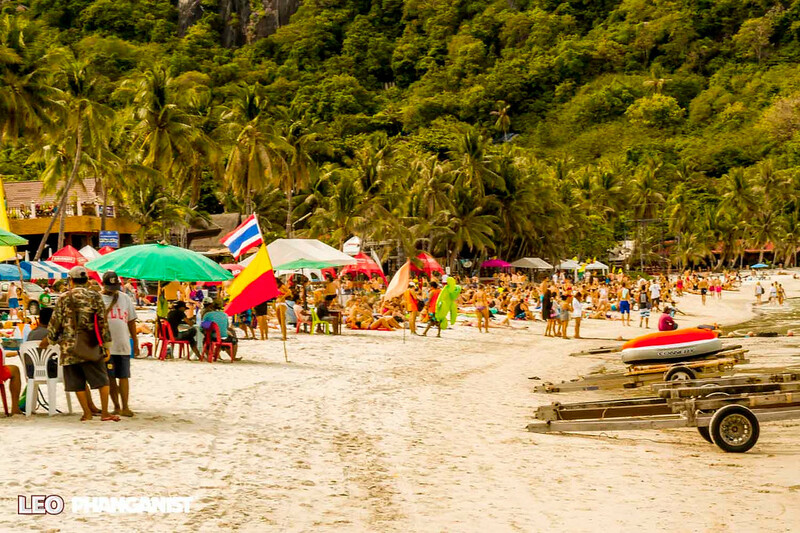 This is part of Baan Tai Beach, the islands most popular area for beach activities like kite-surfing, wake boarding and stand up paddle boarding so if you’re an adventure soul, you won’t be disappointed. The beach stretches a good 5 kilometers in total and all along you will find a number of superb chill-out spots. The two main supermarkets on the island of Koh Phangan are Big C and Makro. Both are within walking distance from the hostel, with Big C only about 5 minutes away. Here you can stock up on all items needed from fresh bread, fresh fruit to toiletries and mobile phone accessories. 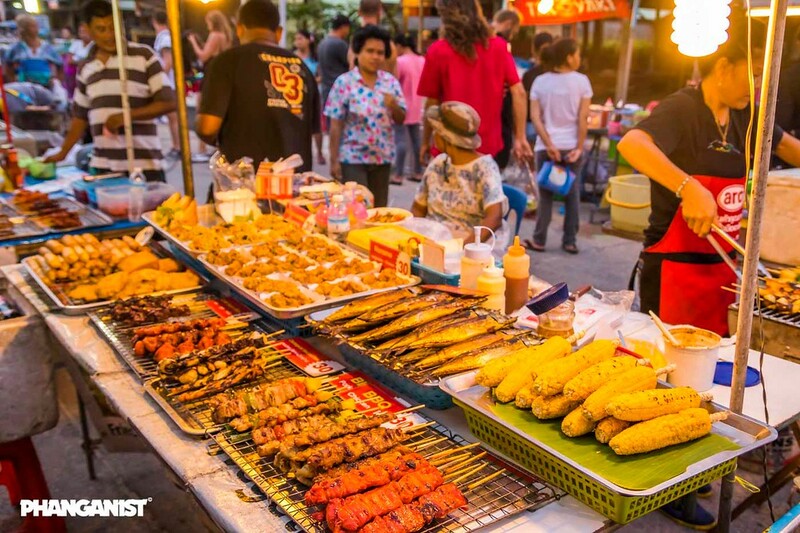 Big C also hosts an outdoor local market every Monday, Wednesday and Friday where you can indulge in hot and cold local snacks, Thai specialties, fruit and vegetables as well as clothes, bags, souvenirs and much more. 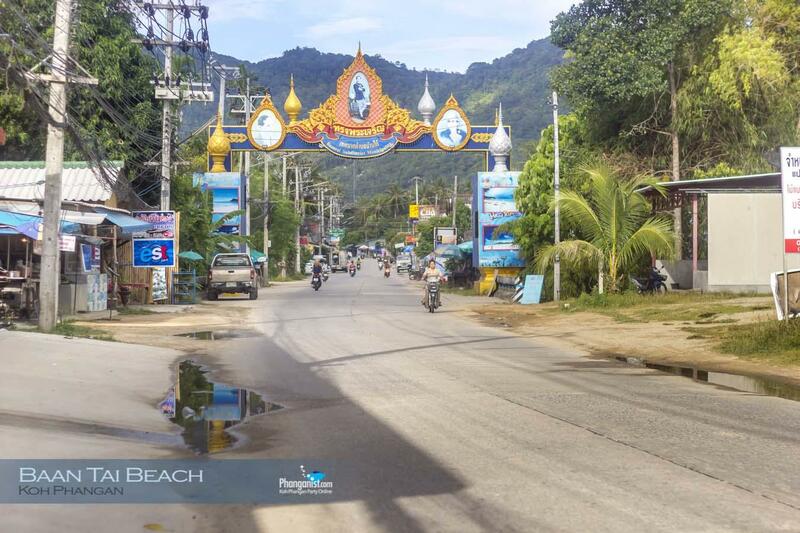 Koh Phangan’s main town, Thongsala is located just a 5-minute scooter or taxi ride away. You can also easily walk the 2 km distance from Phanganist Hostel along the main road which has a side walk on each side and small shops all along the way. 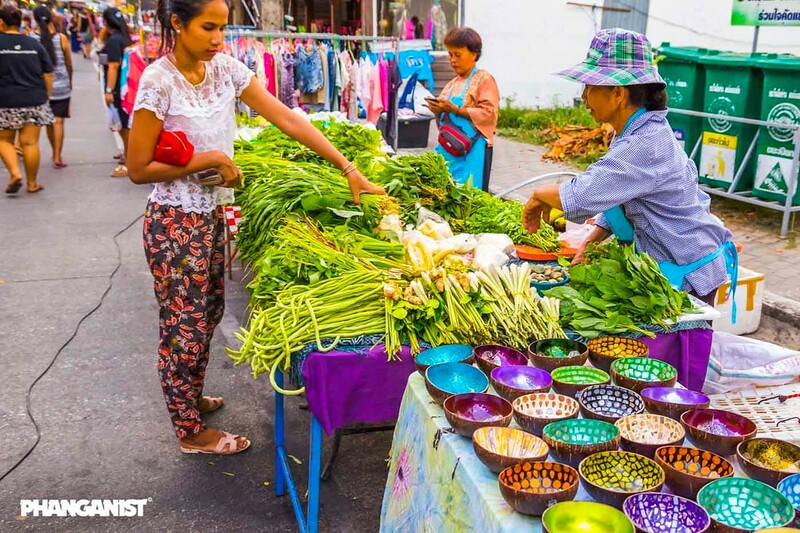 In Thongsala you will find the islands famous Food Market, the Saturday Walking Street Market, banks and ATMs, restaurants, cute little cafes and numerous shops full of handmade items, locally made products, souvenirs and clothes, shoes and accessories. 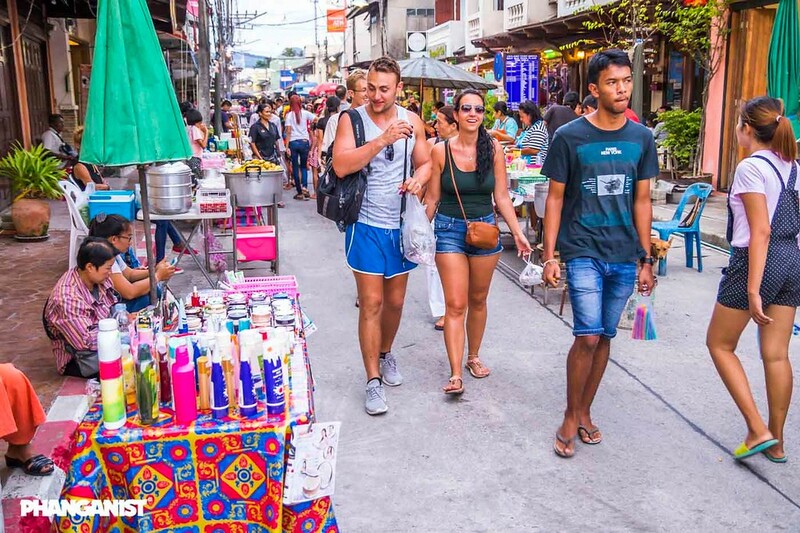 When heading south in the other direction from Phanganist Hostel you will go along the area of Baan Tai leading into Baan Kai and ending in Haad Rin, home to the famous Full Moon party. The islands main Gasoline Station is located in this direction and just outside there you find the islands best and most delicious fried chicken and sticky rice. A must try when in Thailand and a signature local specialty. 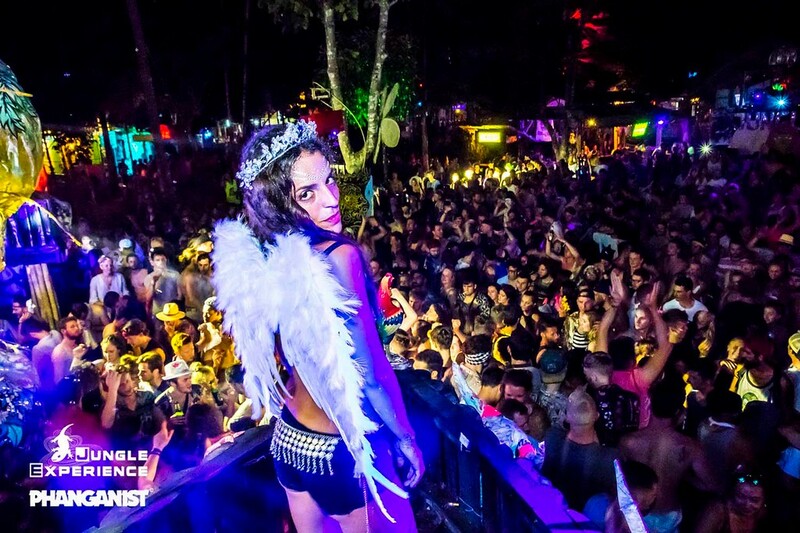 It is also in the Baan Tai area where the majority of the major party venues are located including Jungle Experience, Samanora Waterfall Party, Shiva Moon, Loi Lay Floating Bar, Half Moon and Blackmoon Culture. All the hot spots are easily reached by taxi from Phanganist Hostel yet located at just the perfect distance for you to still enjoy the comforts, peace and quietness while at the hostel! 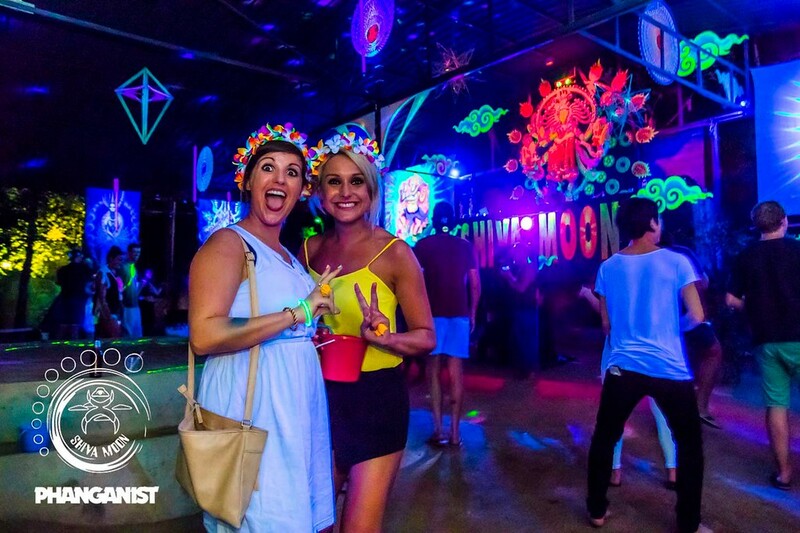 Drop In Bar and the famous Full Moon Party is just 10 km away, on Haad Rin Beach located on the most southern tip of Koh Phangan. 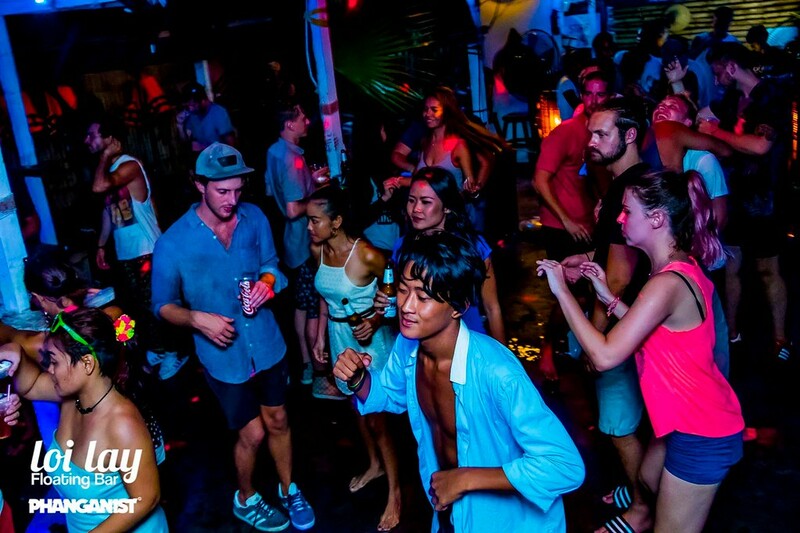 Drop In Bar hosts some of the best beach parties every night and on the night of Full Moon the whole beach transforms into the biggest beach party in the world. 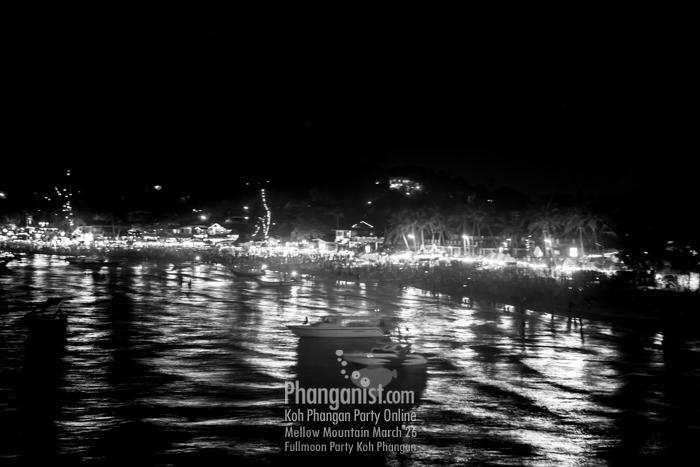 Longtail taxies run like buses up and down the screech from Thongsala to Haad Rin passing Phanganist Hostel multiple times a day and night, so getting around has never been easier or more convenient from Phanganist Hostel.